Remember this material girl recommend that I bought on the spot? I thought that the furniture stuck onto the paper, like colorforms. I thought wrong. It clearly says so, on the back of the book. Unfortunately, it does NOT say so on Amazon’s web site. Click to enlarge, but you can see it’s like… some boxes. 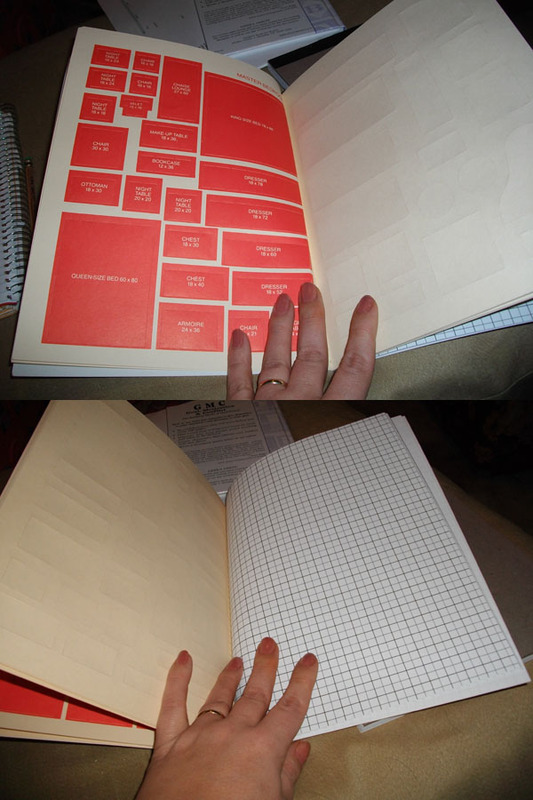 And a few pages of graph paper. Which I already had. And mine’s nicer. So, I recant my recommend. Don’t buy it.